Summer is that time of the year when freshness and beauty are all around and the streets are full of people dressed in the most modish attires. When everyone out there is so beautifully clad, what one should do to stand out in the crowd? Here are few of the hottest summer clothing trends that will make you seem haute and chic on the streets. Mix your clothing style with these notable trends prevailing this summer and turn heads wherever you go. It is that time of the year ladies! Take out your short shorts and pair them up with your favorite striped crop top. Carry a sling bag or a jhola along to give your attire a desi look and woof! You are ready to rock the streets. Wear a thin summer coat if required and steal everyone's glance while walking down the road. Bright colors, geometric prints are in this season. Don't be afraid to drape yourself in the darker color blocks; they will make you look chic and lean. Experiment with colors like Sunshine Yellow, Turquoise Pink, Olive Green and Black & White. 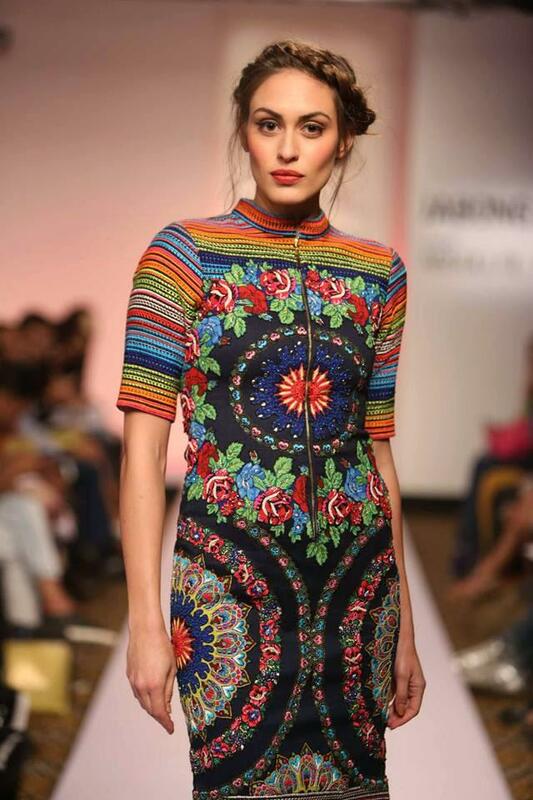 Geometric designs and illusion prints have hit the ramp again with a bang this season. Pair color blocks with a lighter shade pants or skirt. Knock the streets clad in your favorite crop top paired with rugged boyfriend denim this summer. Rugged and patchwork jeans are in trend this season and are making a splash in the market. You can even work on your old jeans and transform them into the most stylish and fashionable ripped denims. Summers breeze make everything appear brighter, lighter and fresher. Go for floral print this summer and appear ' la mode' among everyone walking beside you. Floral prints will make you look fresh and modish. Accessorize your dress with colorful earrings, neckpieces, bangles and stroll down the roads with style. Whether it's a meeting with your clients or a romantic date with the love of your life, a lady is never overdressed in an elegant printed gown. 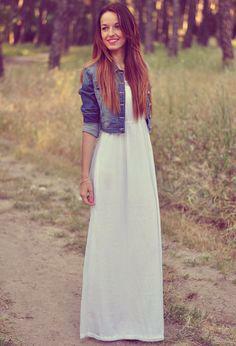 A graceful gown or a Maxi Dress is just perfect to go out on a hot and humid evening this season. Smartly accessorize your gown with a light neckpiece and the look is complete. Surprise him and your colleges with your chic look. Watch them stand there speechless. These were the hottest summer dressing trends to have hit the season. Don't follow these trends blindly. Mix them with your own style; who knows you might come up with something better. Let your hidden fashionista come out. Well, that's how trends are set. 1 thoughts on "Look Hotter Than Summer 2015"
i love the idea of florals and summer.. great article by the way!